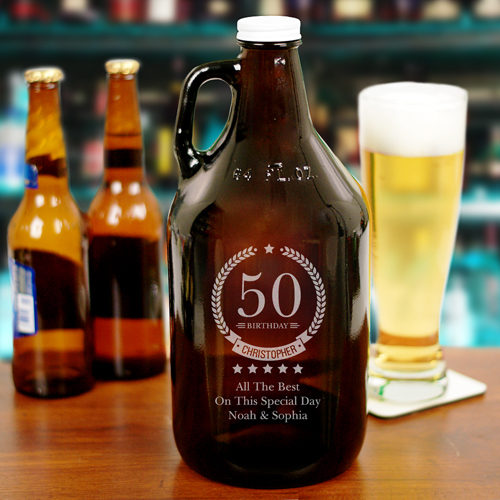 Give your favorite brew maker their very own personalized growler on their birthday to store their best homemade beer. Engraved with any age along with any name and two line message, this beer growler makes an excellent addition to any bar ware collection. The amber glass helps protect from harmful UV rays, preventing it from getting spoiled and “skunked”. It was so beautiful she almost cried!